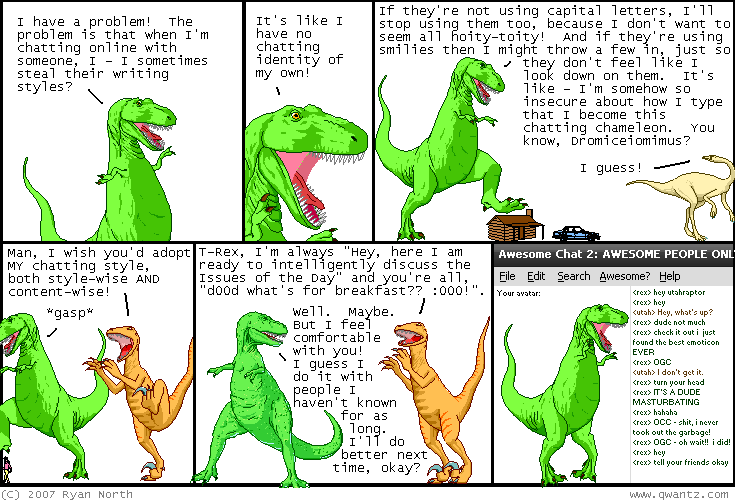 Dinosaur Comics - August 22nd, 2007 - awesome fun times! –"You smell really bad!" Sherlock correctly deduces at Aaron! August 22nd, 2007: Golly Jreen Jiant sent me his rendition of the Party Party Party (Hard) song in yesterday's comic. My goodness. If you want more lyrics that I can only assume show up in the 10 minute version, check out this thread here!